As creepy as the title might sound, the actual sculpture is quite a few degrees more creepy. Artist have always tried to mix their craft with their hobbies or interests, and once in a while, something noteworthy is born. 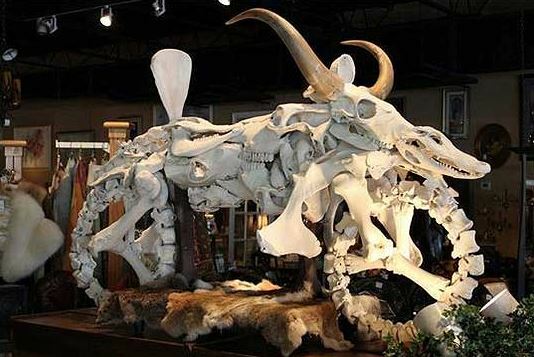 And make no mistake, this motorcycle sculpture built entirely out of animal bones is noteworthy, even if it would scar children for life and give adults the creeps. One more thing noteworthy about this art project is the price tag, which hits the $100.000 mark. For that kind of money, you can get a real motorcycle, and a damn good one, too, and still have money to spare. But art is what it is, even if it’s just a bunch of bones glued together. 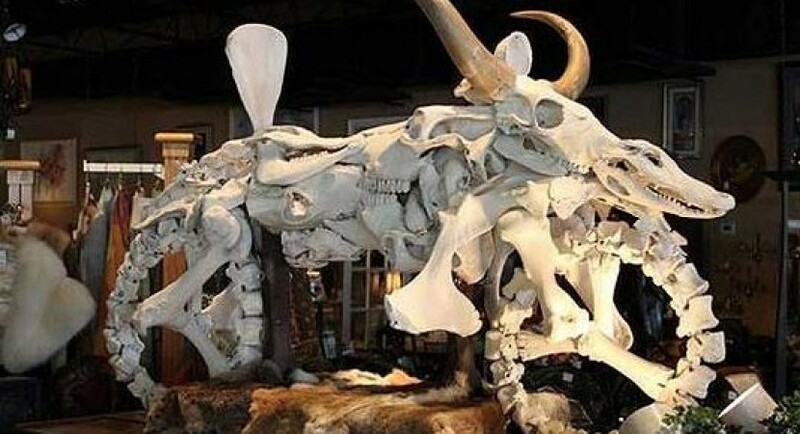 Most of the bones come from roadkill or were donated by farmers and hunters. Around a year of work went into this sculpture, and if you want to see it close up, go at Froggy’s Saloon on Daytona Beach Main Street.